The first of the quick fire qualifying sessions saw Philip Keen right in the thick of the action in the Eclipse Motorsport Mosler MT900R. The early laps would see him tussling with Mike Jordan's very quick Porsche 911 before the season's (so far) dominant #35 Scuderia Ecosse Ferrari got fully up to speed. Nathan Kinch grabbed the provisional pole as others began to improve. The aptly surnamed Keen though wasn't done yet and second place was hotly contested throughout the session: Neil Cunningham in the Embassy Porshe, a car which has won this year and finished on the podium in the FIA GT Championship, was relieved of the second front row spot by Phil Keen, only to see first one and then the other Team LNT TVR better his mark, the #43 car then going on to lap faster than even the Ferrari - before Kinch grabbed the pole at the very end of the session. 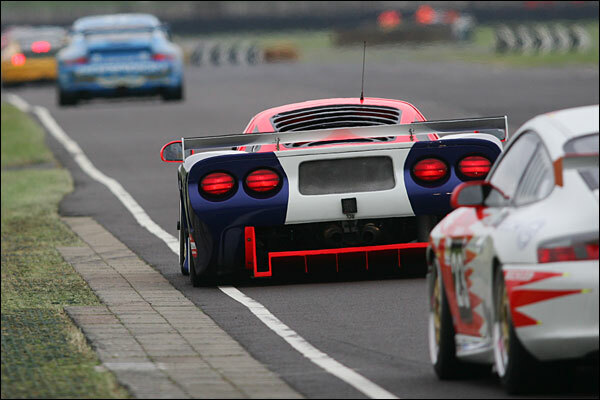 The Mosler then was fourth on the grid...............Or was it? John Griffiths was on the grid taking a few snaps of the welcome sight of his new 'baby' sitting proudly on the front row of the grid for the weekend's first 60 minute race. There was to be incident galore though, even before the pace car pulled in to release the field. With the TVRs already absent, the Nissan then refused to fire up on the grid, forcing a second pace car lap (the Nissan rejoined around half a lap astray). Philip Keen was the next on the wheel of misfortune: the Eclipse Mosler driver was second on the grid and weaving to warm his tyres, when he was caught out and spun into the infield at Quarry. He rejoined though and retook his allocated grid position, seemingly no harm done. David Jones in the #22 Preci-Spark Porsche was also was caught out under the pace car, but instead of the warm embrace of a cornfield, Jones was treated to the crushing handshake of a tyre barrier, the Porsche left with damage to the right rear and rear wing - race over before it had begun. As the lights finally released the cars then, Nathan Kinch got the drop on the Mosler, but the young Englishman's dander was clearly up and he tracked the Ferrari's every move. Behind the lead battle there was further drama as the second Ferrari came together with Jordan's Porsche: the 360 did a 180! and was happily missed entirely by the pursuing gaggle of GT3 runners. Up front, the pressure exerted by Keen on Kinch had paid off, the tiniest of errors allowing the Mosler to get by and take the lead. #69 began to pull away immediately but then, astonishingly, the Mosler pitted: the spin earlier had left a substantial amount of grass and other rural debris in the MT900R's air intakes. Phil hadn't got away with it after all! "I feel terrible," he said later, "It was a silly error and I thought I'd got away with it. The temperatures started to rise though almost as soon as the race started. I pitted when I got the alarm and luckily no mechanical harm was done." The Mosler now had a mountain to climb, rejoining in 17th place, but soon scything through the GT3 field to lie fifth - with the four GT2 cars ahead still immersed in their own battles. 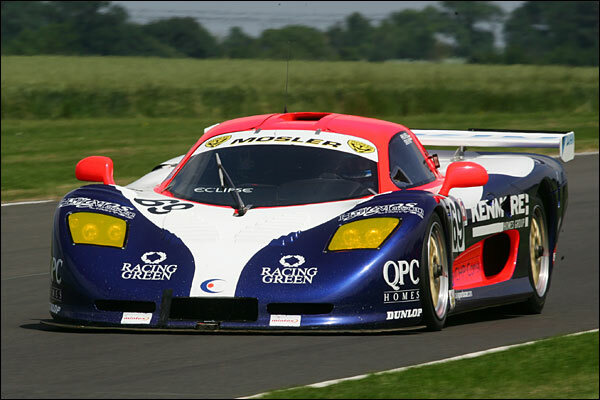 The Mosler was super quick and Keen made the most of it, posting lap times bettered only by the pair of 'A' rated drivers in the Ecosse Ferraris later in the race. The pit window was now open and Kinch took advantage immediately, handing the #35 car over to Andrew Kirkaldy. The Mosler was the last of the frontrunners to pit in the sequence, again leading through the stops before Phil Keen leapt out at the 35 minute mark, to hand the car over to Steve Hyde. Kirkaldy was now the leader and, despite pressure from the second Ecosse Ferrari, would storm to another win. 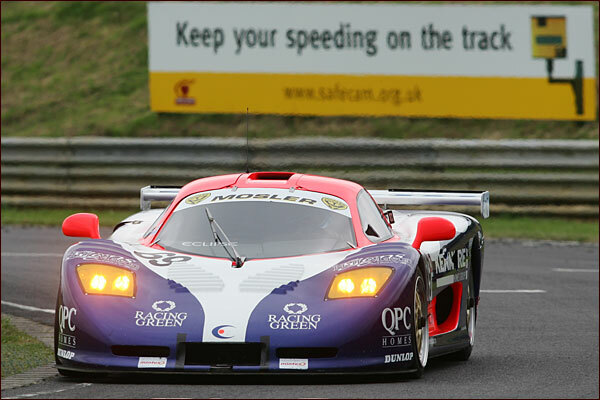 Further back, the Mosler was running a solid second stint and would finish in a fighting fifth place overall. Back in the paddock, Phil Keen was suffering the leg pulling that happens whenever an Eclipse driver suffers the indignity of a mistake in full view of the public. Lawnmower jokes were the order of the day. With the sunshine finally making an appearance, Andrew Kirkaldy made his usual rocketship start - with Ben Collins and Tim Mullen in hot pursuit. 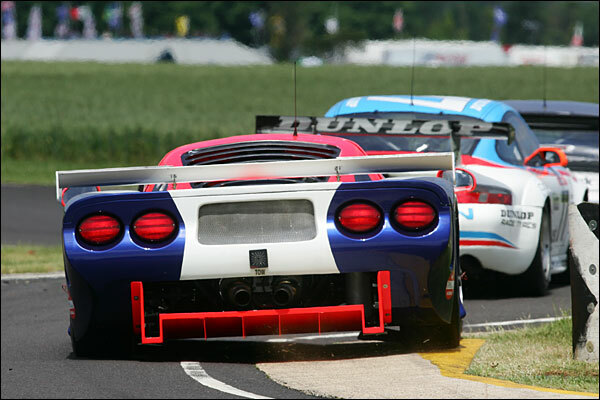 Behind this trio, David Jones led the Eurotech pair, with the RJN Nissan heading the Eclipse Mosler. Steve Hyde had slightly fluffed his opening couple of turns, the Mosler down to seventh at the end of the first lap, but going up the inside of Michael Bentwood's Nissan next time around to regain one of his lost places. Mullen eventually got by the Embassy Porsche and set off in pursuit of the leader, with Steve Hyde playing a waiting game right behind the sparring Eurotech Porsches. 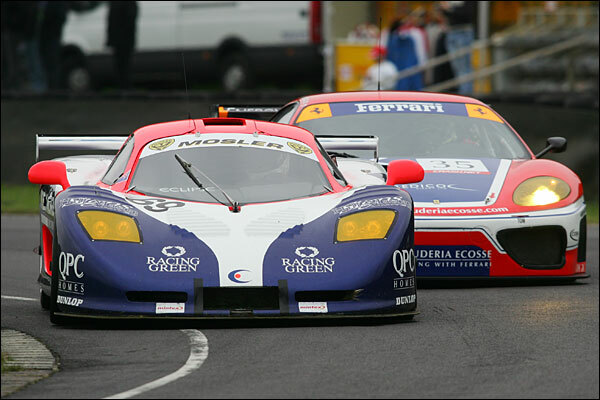 It was the third Eurotech car (the GT3 CBT backed 911) that would have the most telling effect on Eclipse's race. The Porsche's accident that left this car in a dangerous position, which forced the deployment of the Safety Car. The clear up dragged on into the pit stop window, a situation which always has winners and losers and this time Eclipse lost out - Big time! As the Safety Car was withdrawn, Phil Keen led the train with a clear road ahead - that was the good news. 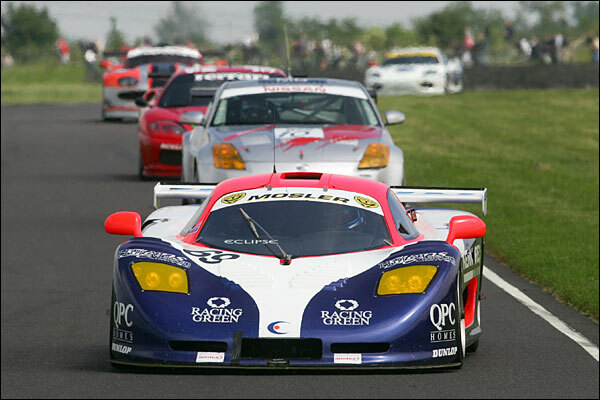 The bad news was that this meant the Mosler was almost an entire lap down on the rest of the (now tightly packed) GT2 field. With the Embassy Porsche now leading from the two Ferraris, Keen started to stretch away from the rest of the pack immediately, but despite some very impressive lap times indeed it would really be a 30 minute run against the clock for the Mosler driver, which would see little in the way of positional gain but a great deal proven regarding the pace of the car and the man. 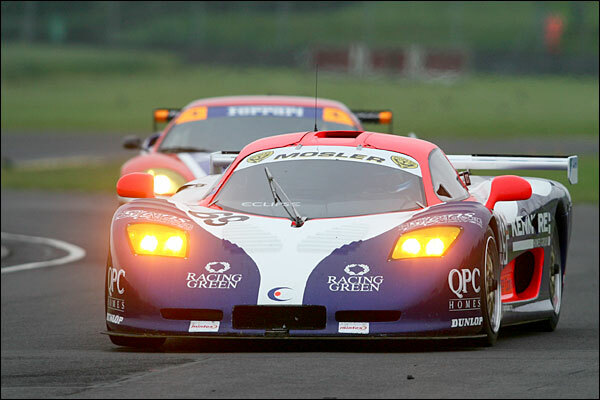 The Mosler finished just a second or two behind the Jones' Porsche, having pulled back almost an entire lap in 30 minutes. With Cunningham in the Embassy Porsche losing out to Kinch in the closing stages (and then having to pit for a similar grass-related problem as afflicted the Mosler the previous day), it was another Ferrari 1-2. Eclipse though are showing that the clouds are gathering for the Prancing Horse and those clouds have got V8 grunt and a number 69! Steve Hyde: "We were very unlucky with the safety car and Phil didn't really get a chance to mix it as a result. One thing it does prove though is that tactically it works for me to run a short stint at the start."